Thursday- Nice appointment at Cincinnati Children's Hospital. Preparing for transition to highschool next year. Lunch at Don Pablo's- yum. Walked around Kenwood Mall. Stayed the night at Great Wolf Lodge. Love the lazy river! Friday- Bright and early breakfast- ChickFilA. 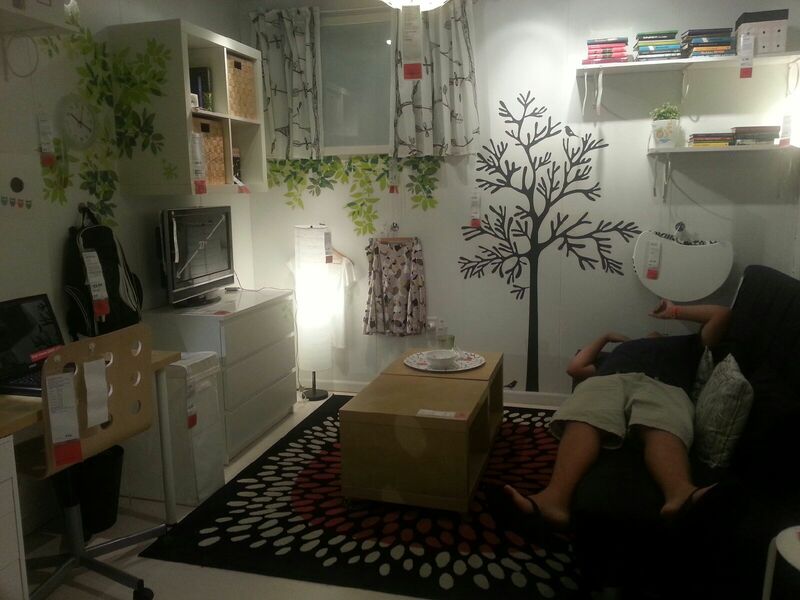 Shopping at IKEA. We only go a couple times a year, so we make a day of it, stocking up on cool stuff. I loved the wall decals in this setup. As you can see, Colton loved the couch. A little more shopping at Jungle Jim's and lunch at Joe's Crab Shack. 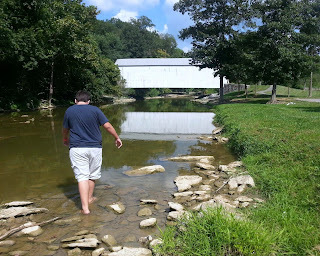 Stopped at a little covered bridge on the way home. 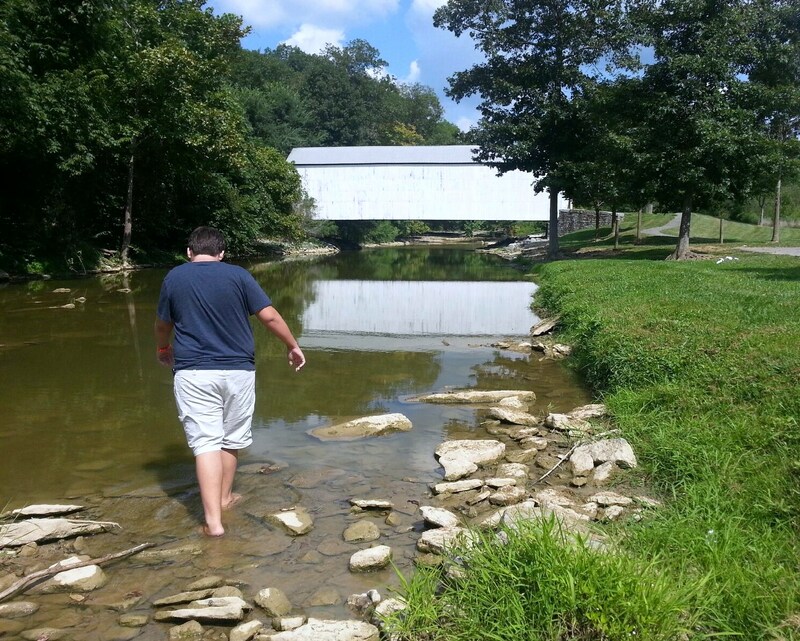 and waded in the creek. Saturday and Sunday- Couldn't have asked for more perfect weather. Sat in the sun and relaxed.